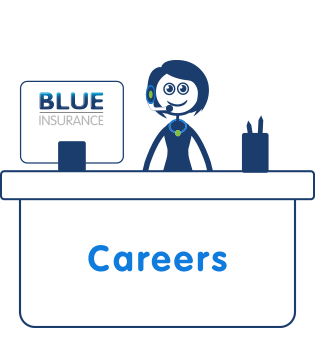 We are now on the lookout for an enthusiastic and highly motivated Customer Sales Executives to join our team in our busy call centre. This is the ideal role for an APA or CIP qualified professional with a passion for delivering great service & looking to join an expanding company offering superb career opportunities. Joining an award-winning Company, as a Customer Sales Executive, you will be responsible for selling policies and answering queries across our Home and Motor products. Developing a comprehensive understanding of the entire product range, you'll be required to provide a first-class standard of service at all times. You will be required to have an excellent grasp of both verbal and written English. The ability to sell over the phone will be a key skill for this role. Additionally, you'll liaise with underwriters on a regular basis and continually seek new ways to improve quality and efficiency within the Home and Motor Team. Strong Customer Service & Communication skills. Ability to work in a busy team environment and to meet strict deadlines. Previous experience in the insurance industry. Experience in cross-selling and upselling. A positive and enthusiastic attitude and the ability to work on your own initiative. An APA or CIP qualification is desirable. Answering sales and service calls in an efficient & friendly manner. Joining Outbound Sales campaigns as assign. Delivery against assign daily/weekly sales targets. Handling an assigned workload of emails or queries and following them through to completion. Adhering to data protection and the following protocol as laid out by the company. Referring queries to underwriters and communicating underwriting decisions to the team. Managing your time effectively and prioritising tasks where necessary.